Leeds Limo Service specialise in Shopping Trip Limousine Hire and Hummer Hire. How to Book a Memorable Shopping Trip Limousine Extravaganza in Leeds in Just a few minutes. Leeds is amazing for shopping we all know! Shopping and lunch, whether it’s Primark, H&M or any of your other favourite shops, lunch at The Red Hot world buffet in the centre of the city, Leeds has got it all! Don’t forget about the Huge Market and new Shopping Centres like Trinity! You’ll find everything you want! 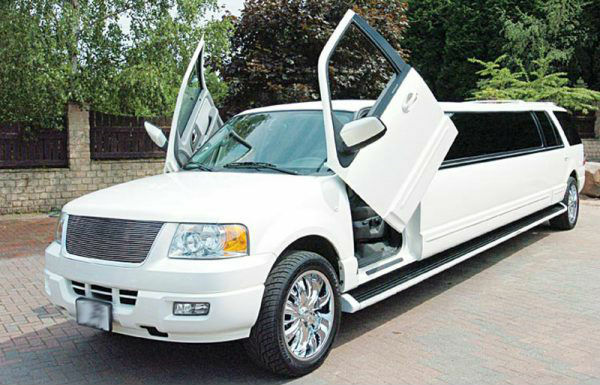 What should you expect from Leeds Limos Service? 1. Shopping Extravaganza that won’t be forgotten. Okay, how does this sound? Getting picked up in a gorgeous limo, opening a cheeky bottle of fizz for the journey, then arrive at your favourite shops ready to spend all your hard earned cash and max out those credit cards like a true star that you really are! 2. Whole Day trip? Leeds Limo Service has chauffeurs that are experts in giving you a real retail adventure, knowing all the shortcuts, missing traffic, not that you’d notice them while relaxing in the back with your friends planning your splurge. Our chauffeurs will ensure you get star treatment all day, opening the door for you, in front of everyone staring at you getting out like you’re a celebrity. ​3. No queuing. No bags to carry. You are going to have lots of bags, don’t worry about straining those arms, our chauffeurs will take care of that and ensure they are safe in the back so you can keep shopping without the extra weight. We can give you a nice bottle of wine if you’d prefer while we take you from place to place. No public transport either. You’re a star today! 4. Flexibility. Say you spot a different shop you haven’t planned on visiting, or you fancy a swift glass of vino in a bar wine bar, just let your personal driver know and he will be happy to take you there. Or maybe a friend has got off work early let’s pick them up, not a problem! Leeds Limo Service will provide you with the best shopping day ever. You will be treated like Kate Moss on Oxford Street. Everyone turning heads and the red carpet treatment you want! Just fill in the form on the right-hand side for a ‘No Hassle Guaranteed’ FREE quote (We Promise). Leeds Limo Service prides itself in having the best shopping trip limo services and discounts. Or call today on 0113 320 3616.